Sign Up for free to save time shopping Escape Artists's wholesale products on LeafLink. 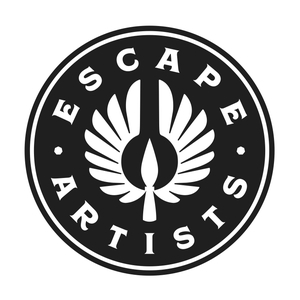 Escape Artists was founded by scientists who worked for years in the food and pharmaceutical industries. 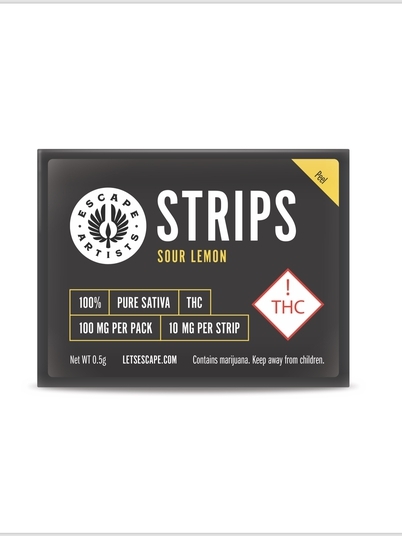 We developed products that relieve pain, reduce stress, relax muscle tension and that simply taste great. We created technology and formulation that we knew worked and applied them to our Escape Artists line of products. 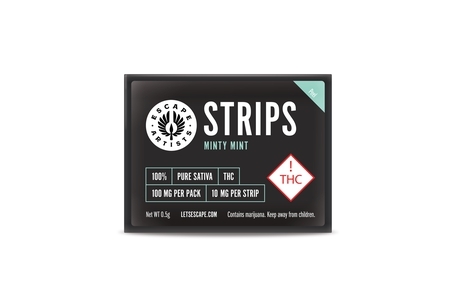 We infused our formulations with the highest purity cannabinoids both for quality and efficacy because we are passionately dedicated to making products that deliver fast, reliable, and controlled experiences. 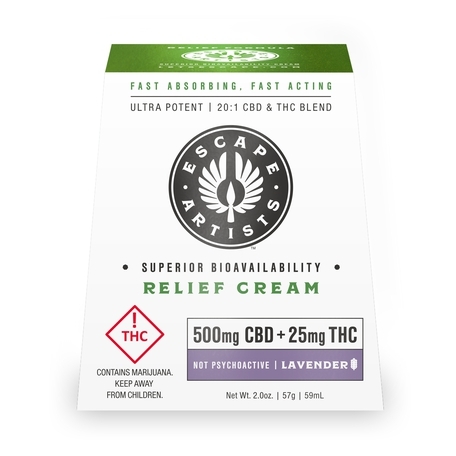 Through innovative delivery mechanisms and revolutionary molecular pharmaceutical technologies, Escape Artists products deliver high quality cannabinoids – ensuring you can focus on getting the right effect quickly, consistently and reliably. Escape Artists applies proven pharmaceutical technologies to provide customers with products that let them enjoy their experience quickly and predictably. We encourage our employees to always be dedicated to letting customers stay in control of their self-care needs. They melt on your gums resulting in an ultra fast uptake of 5-10 minutes! 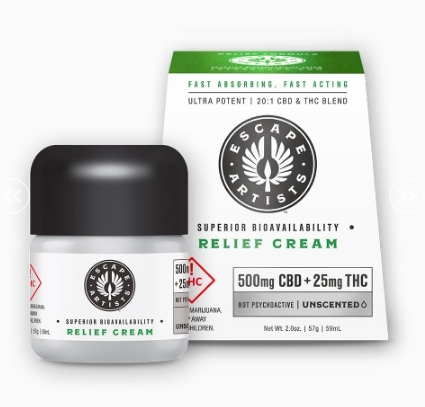 Escape Artists Fast Relief Cream is a concentrated, high bioavailable formula designed to deliver our blend of pure cannabinoids quickly to areas needing relief. Formulated specifically for individuals with arthritis and fibromyalgia ailments. Escape Artists Pro Sport Cream specifically targets muscles affected by strenuous physical activity. Pro Sport cream is ideal for physical therapists, athletic coaches, sports trainers and anyone who feels muscles ache after athletic activity.